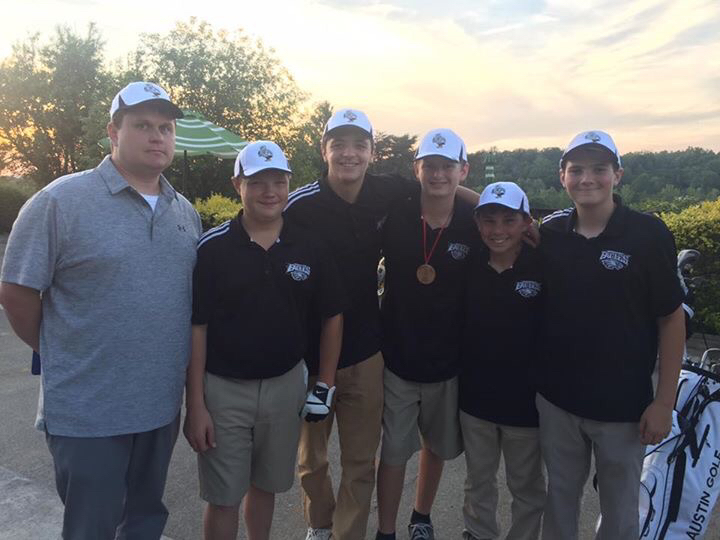 The Austin Middle School Golf Team just completed their season with a team record of 19-14. The team finished Runner- Up in the Inaugural Mid-Southern Conference tournament. 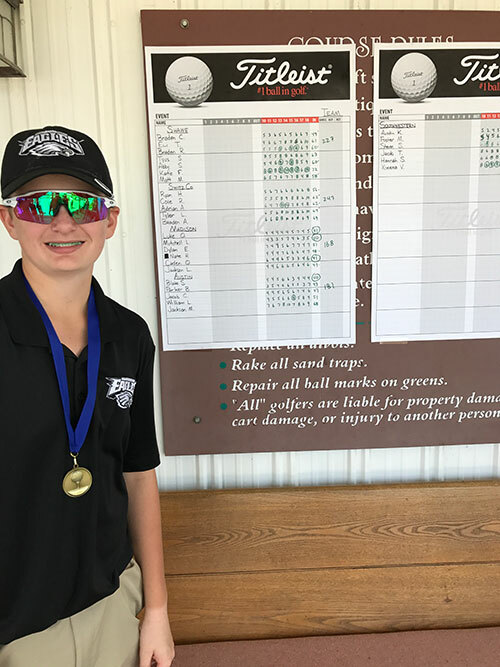 Blake Stamper placed 2nd in the conference tournament, he was followed by Parker Bruce, 5th, Josh Gabbard and William Law, 9th, and Jakob Campbell, 18th. The team also placed 2nd at the Southwestern Invitational. They were led by Stamper finishing as Co-Champion, Bruce, 6th, Campbell, 7th, Law, 12th, and Jackson Marshall, 24th. The current team loves the fact that they are undefeated against their county rival over the past two seasons. For 2018 the team will return 5 of their top 6 players and a new class of 6th graders. They look to be very competitive in 2018. If you would like to be part of that team; practice, practice, practice over the summer and fall. The team will get started in early spring.